Craft or artisanal beer has taken the beer scene by storm worldwide. Craft breweries are opening and beer lovers are slowly starting to move from the commercial beers to microbreweries. Even in countries where beer does not have such a tradition, the rise of artisan beers has been astonishing. The concept of an artisanal beer is different and once you get accustomed to the taste it is not easy to return to a commercially brewed beer. Living in Belgium means that I get to taste many great craft beers all with different flavours and styles. But it is also exciting to discover that this new trend has reached the country where I was born and lived for most of my life. Malta is therefore following in this trend thanks to an Italian family, with a love for Gozo, who have invested money to launch the country’s first artisanal beers. When I read about Lord Chambray a few weeks ago I knew that this was a very important development for Malta and Gozo particularly since Malta already has a tradition of brews, albeit commercial ones. Over the past few years. the food and drink scene in Malta has developed beyond recognition. New wineries have emerged, olive oil producers are rekindling years long traditions that had since been lost and other innovative entrepreneurs have started a number of interesting enterprises. Samuele d’Imperio, the managing director of Lord Chambray told me that his family from Novara have been visiting Gozo every year for the past 25 years. It had always been their dream to purchase a property on Malta’s sister island. It was something which they finally managed to do five years ago when they acquired a property at Fort Chambray. From then, it was following their dream of doing something different and of leaving an impact on a small island which they have come to love. I came across their beer at a shop (Vini e Capricci) just next door to their brewery on the outskirts of Victoria Gozo in Xewkija in the Gozitano Agricultural Village. Vini e Capricci is another place well worth a visit when you are in Gozo, but that’s for another time. I then discovered that the brewery was just around the corner so I visited Samuele d’Imperio to hear his story of how they set up the first artisanal beer in Malta. You can read about his story here. The three beers have names of some of Malta’s most idyllic and popular beaches. Blue Lagoon: This is a Blanche beer. It is an incredibly refreshing beer with hints of coriander and orange. Alcohol content for this beer is 4.6%. The beer is aptly named Blue Lagoon because this bay, in Malta’s third island of its archipelago Comino, has crystal clear waters and an incredible light blue colour. 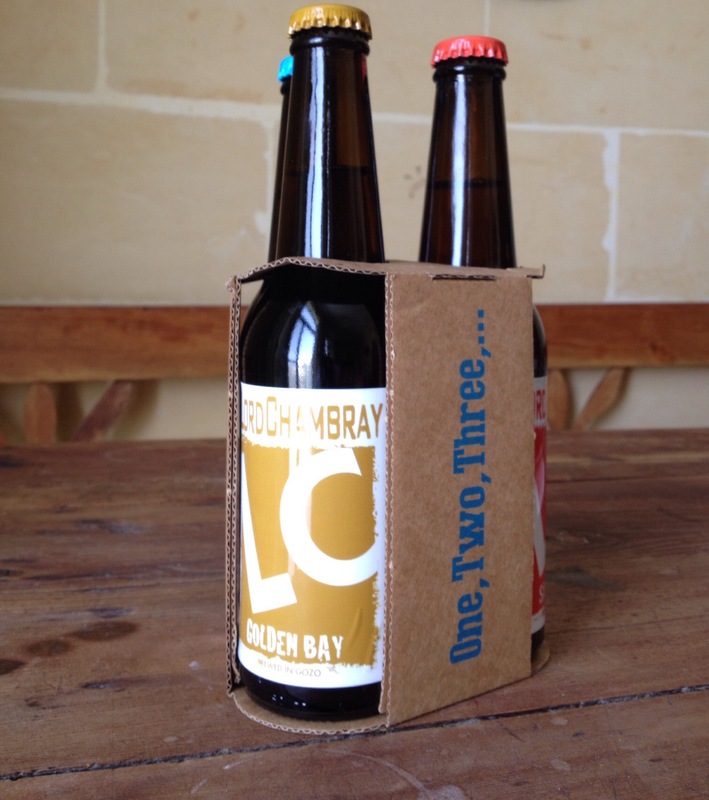 Golden Bay: This is an American style craft beer. It is intensely golden with an alcohol content of 5%. It has a sweet taste and is brewed with hops imported from the United States with give some hints of citrus and caramel on the nose. Golden Bay is one of the most popular beaches in the North West part of Malta and is named like this because of its golden coloured natural sand. San Blas: San Blas is a darker beer with an alcohol content of around 5.5%. It is brewed with a blend of hops to obtain a more aromatic flavour. Personally this was my favourite of the three beers given the complexity of its flavour. San Blas is a beautiful tiny bay on the island of Gozo which is located below the village of Nadur.